Include Poughkeepsie NY & The Historic Hudson Valley Region To Your New York State Vacation Plans! Poughkeepsie NY is a city of multiple choice: Parks and historic sites, Hudson River cruises, shopping, outdoor adventure and excellent accommodations make this a dynamic stop for visitors. You can tour early Dutch homesteads and visit lively museums, enjoying the heritage of our colonial past preserved in our towns and villages. Visitors will find a warm welcome in the finest luxury hotels, charming bed and breakfasts, inns, and family-oriented motels and campgrounds. In historic Dutchess County, there are parks and lakes and plenty of places to hike, camp, ski, and go boating. Golfing is also at the top of the activities list! When you're ready to do a bit more urban exploration, there are world-class winery tours, excellent restaurants for every purse and palate, and antique shops, clothing stores, and irresistible works of art from talented local artisans. To top off your evening, Poughkeepsie offers an eclectic nightlife with theater, comedy, and dancing in a variety of clubs, bars, and entertainment venues. Experience the intrigue and charm of more than three centuries of New York history that are captured forever in Dutchess County. Located adjacent to the beautiful Catskills Region, you can bring the whole family along to enjoy everything this unforgettable New York State vacation destination has to offer! 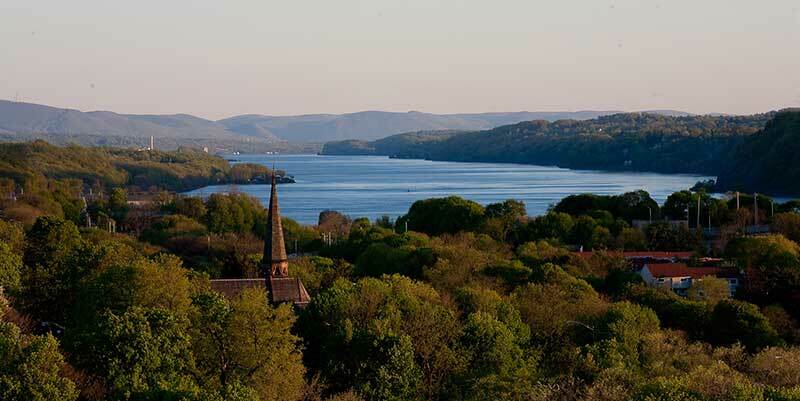 Poughkeepsie is located in the western shore of the Hudson River approximately 2 hours north of New York City.